I love coffee and drink it every day. But, now when the summer is here and the days are really hot I can't drink hot drinks, such as coffee. 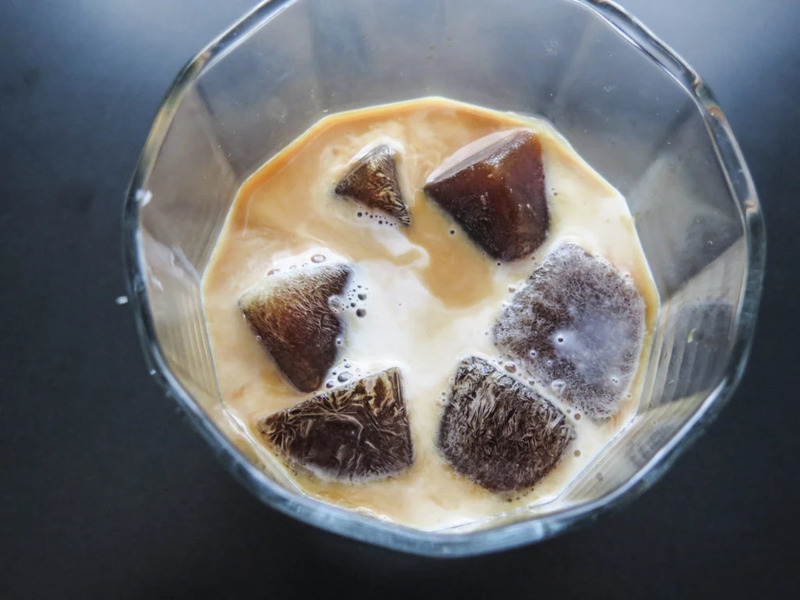 When I moved here four years ago I couldn't stand drinking cold coffee, iced coffee or iced tea. I continued to drink my hot coffee but it did't taste as good in the middle of July or August. I went back to trying an iced coffee and struggled a couple of times and then, finally I started liking it. Now I only drink iced coffee or lattes during the summer months here and it's amazing. 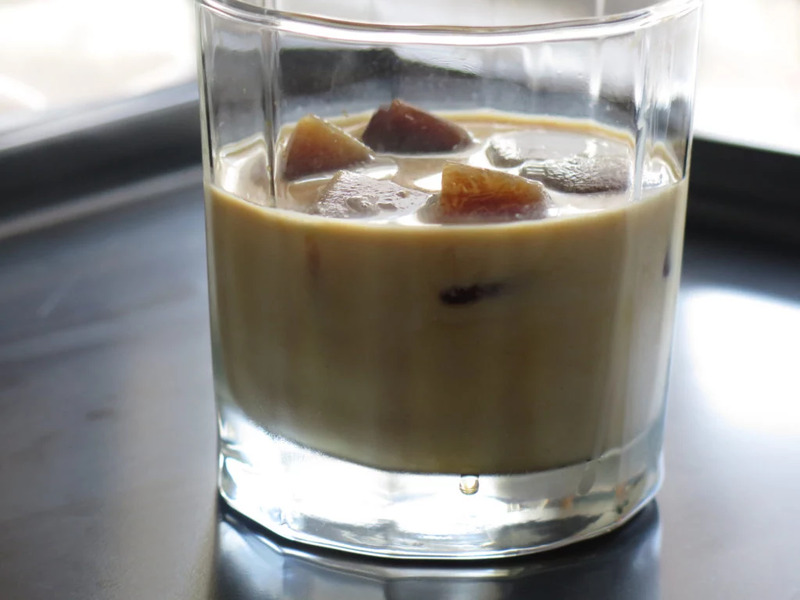 So, yesterday I told you that I put left over coffee in an ice tray and put it in the freezer. 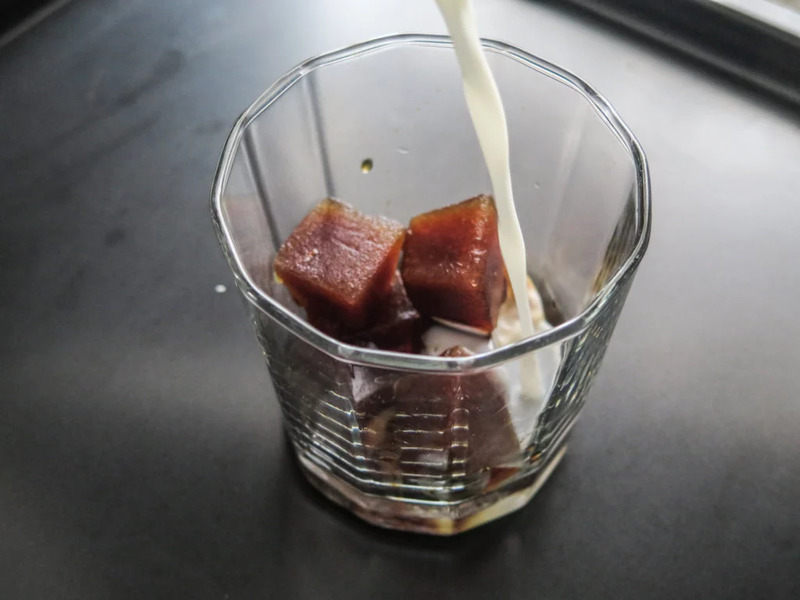 Today we took the coffee ice cubes and put in a glass and poured milk over it. You can use your favorite milk, I like coconut milk and you can also use a milk with a vanilla flavor to make it even better. This is so good. Yum! I also would like to make a lavender latte. I love lavender and want to add it to everything basically, baking, drinks, candy and so on. I just need to find some good lavender and maybe do a syrup with it that can be added to drinks, such as coffee or a cocktail. The next thing I want to try is the chocolate ice cubes. 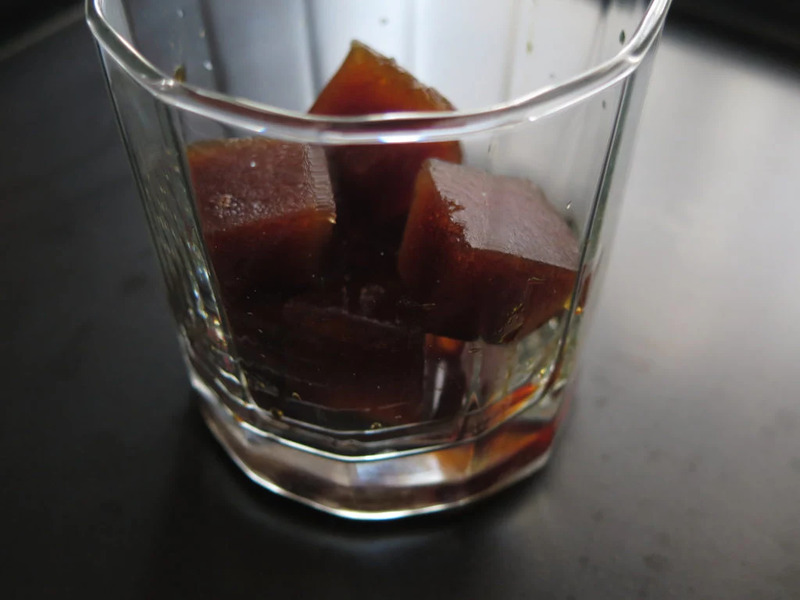 I think these cubes will be so tasty and the perfect companion for a cold-brew coffee. Place all ingredients in a heavy-bottom pan and whisk until combined. Bring to a simmer and remove from heat. 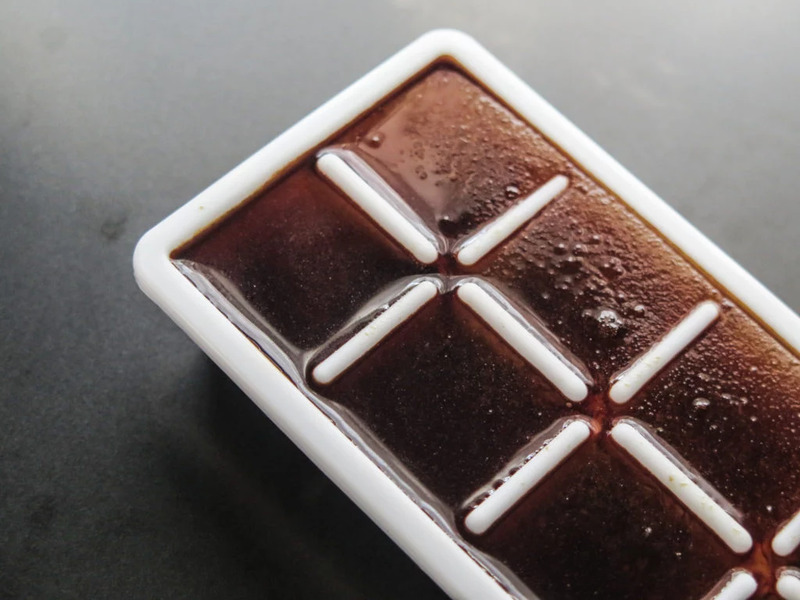 Let mix cool completely and place in ice cube trays.